Distance. How far from end to end. Or from one point to another. 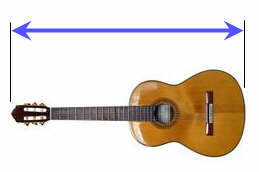 Example: the length of this guitar is about 1 meter.